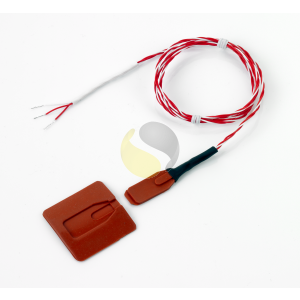 Resistance temperature detector with silicone rubber self–adhesive patch and moulded silicone patch cover. These surface mount RTD’s are supplied with a Pt100 element in a 3-wire configuration. 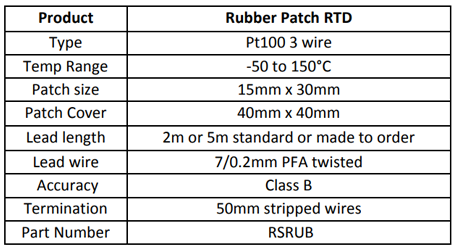 The self-adhesive silicone rubber patch completely houses the RTD element making it resistant to many oils, liquids and chemicals. 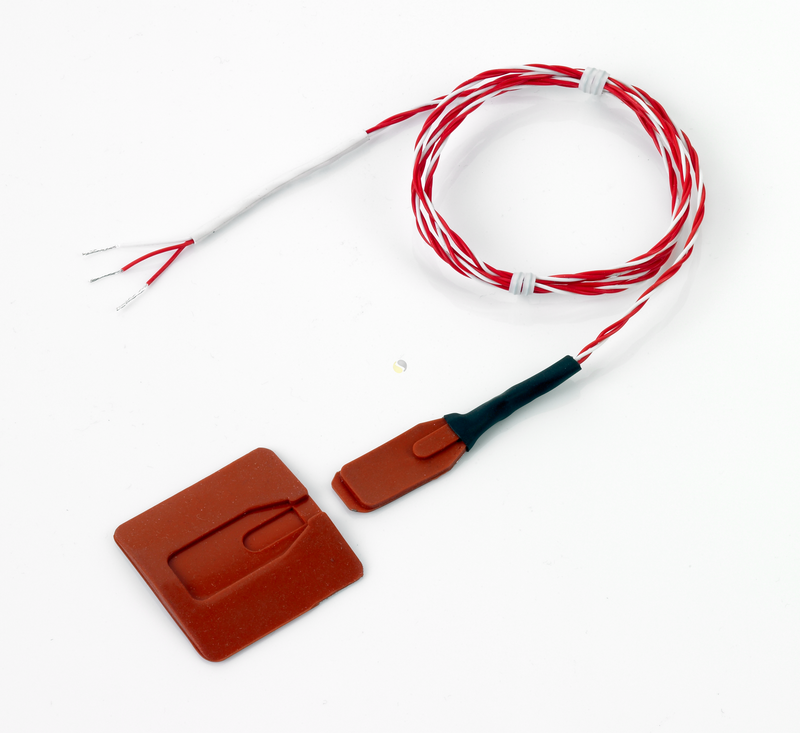 The silicone rubber sensor has dimensions of 15mm x 30mm and is suitable for use between -50°C and +150°C, making it ideal for mounting onto heating and ventilation ducts or pipes. The patch cover is 40mm square and is used to secure the patch in place, offering added insulation for the detector. These sensors are supplied with a 2 or 5 metre PFA twisted wire 7/0.2mm lead as standard complete with 50mm stripped tails. 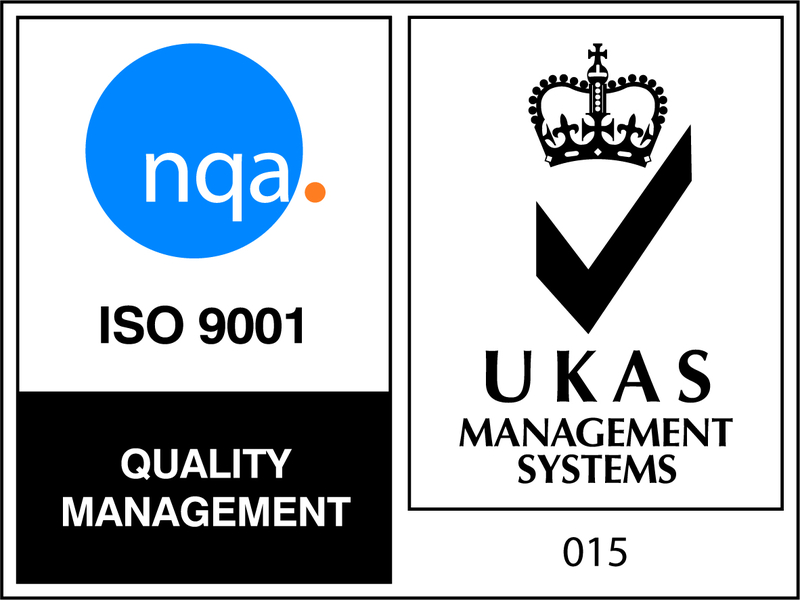 Although they can be made to order with longer lead lengths or a connector to suit your application.